Be able to communicate and make decisions effectively. Possess working knowledge of the most widely used application packages - Word Processing, Spreadsheets and Presentation Graphics. Understand the fundamentals of Human Resource Management, including Industrial Relations, Human Relations and Training and Development. Exposed to more advanced issues of Human Resource Management - issues which are critical for SA's top-level HR Practitioners in on our new era. Possession of this certificate grants the Learner exemption from a full module of the follow-on UNISA Programme in Human Resource Management. This module is called The Human Resource Function. Assistant Bookkeeper Skills Programme (FASSET SETA), on condition that introduction to Business Accounting (FMI) (Choice Subject) is completed. Entry Requirement: It is compulsory that a Learner has achieved a Grade 12 Certificate, prior to registering for UNISA Human Resource Management Programmes. However, UNISA are prepared to consider prior work experience if a Learner has not achieved a Grade 12 Certificate. External Fees and Text Books: Learners will be required to pay additional fees to UNISA and FMI for registration and final assessment. 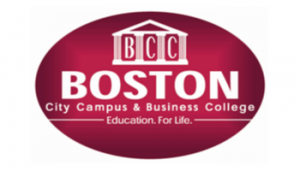 These will be quoted by and paid to Boston City Campus & Business College, and transferred on the Learner's behalf. Learners will be required to pay additional fees for prescribed UNISA textbooks.